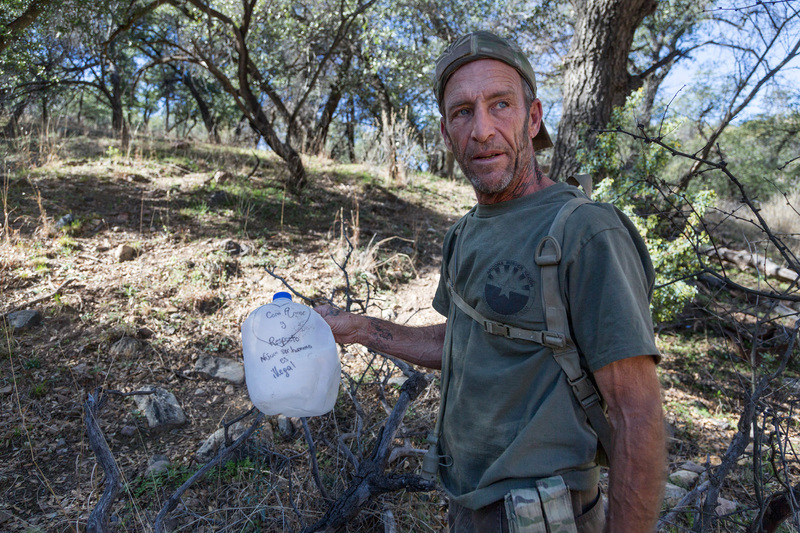 Tim Foley, finds a used water bottle left out in the Southern Arizona Desert by humantarian groups for those crossing the desert illegally. The message on the bottle reads "With love and respect, no human is illegal". March 8th, 2017.